Jordan Brand gets festive with this new colorway of the Jordan Spiz'ike. 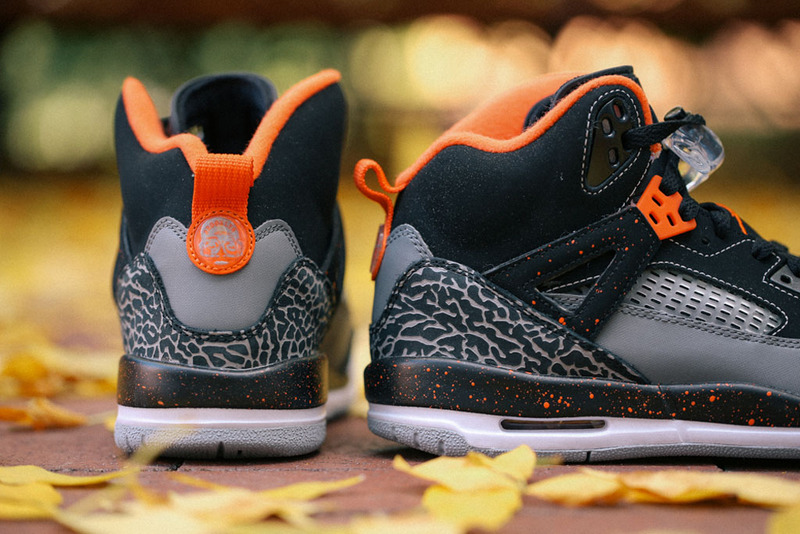 Made exclusively for kids, this Jordan Spiz'ike GS is known as the 'Halloween' edition. Inspired by the ghoulish holiday that takes place at the end of October. 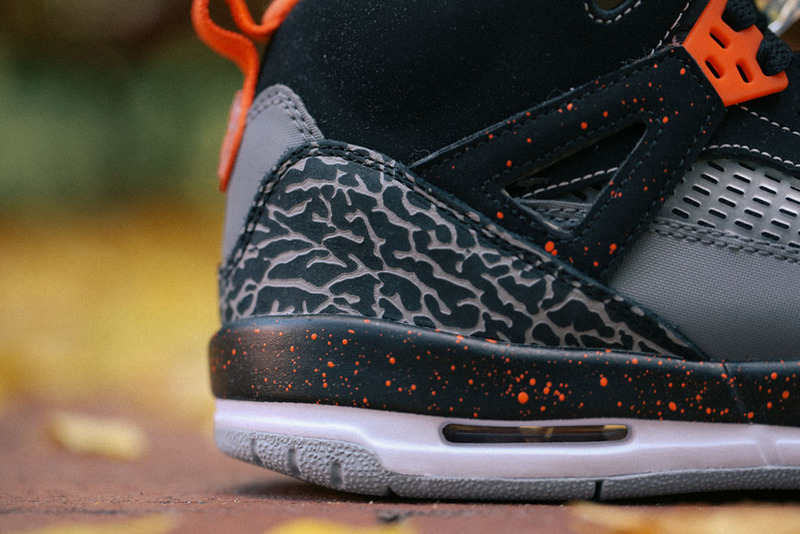 They come in a black, electro orange, cool grey and wolf grey colorway. 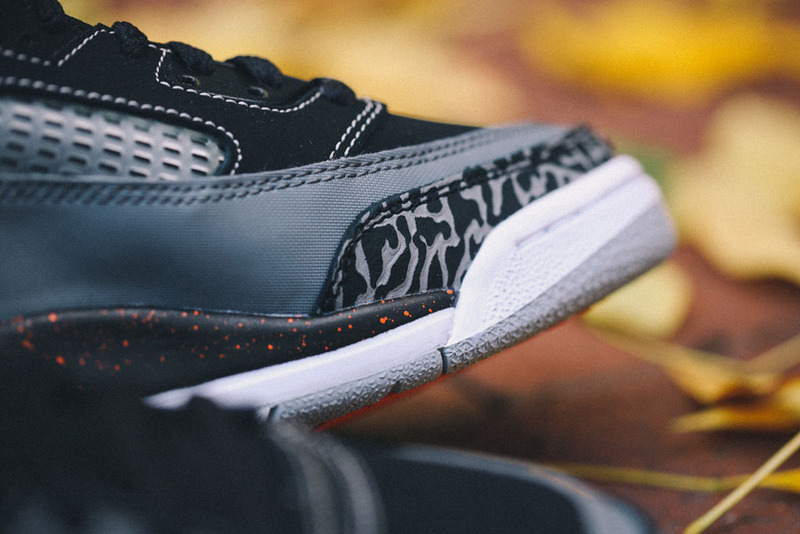 Featuring a black-based nubuck upper with grey and orange accents. Details include paint splatter found on the wing strap and midsole, grey contrast stitching and elephant print found in its usual places. This colorway will be available in kids sizes, from gradeschool down to toddler. 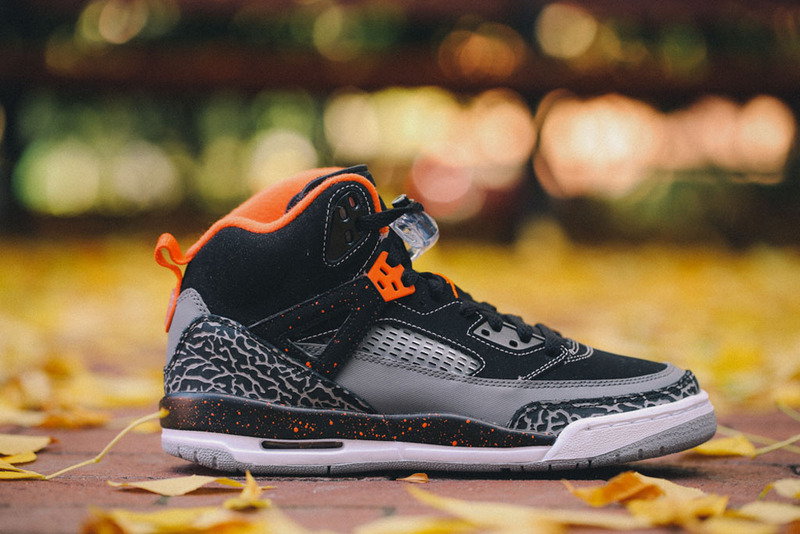 The 'Halloween' Jordan Spiz'ike GS are available now at select Jordan Brand retailers such as AWOL and hit nike.com as well as other select Jordan Brand retailers on Tuesday, October 21.